ThatConference is just around the corner. There are two parts of the event where I'll have a big presence. First, The ThatConference GiveCamp. I'm one of the project leads, for the volunteer checkin system. Visit the link above and you'll get a great overview on what we are building. The GiveCamp / Hackathon takes place on Saturday and Sunday. Come join us, and build some code that can have a real impact on people. We can make humanitarian response more efficient, and literally save lives. The other project being developed at the ThatConference GiveCamp is the Mobile Based Emergency Training project that Humanitarian Toolbox started at DevTeach. Phil Japikse will be at ThatConference and leading that project again. Also, a big thanks to Telerik for providing Humanitarian Toolbox with copies of their tools for the projects we are creating. I'm also excited to be speaking there this year. 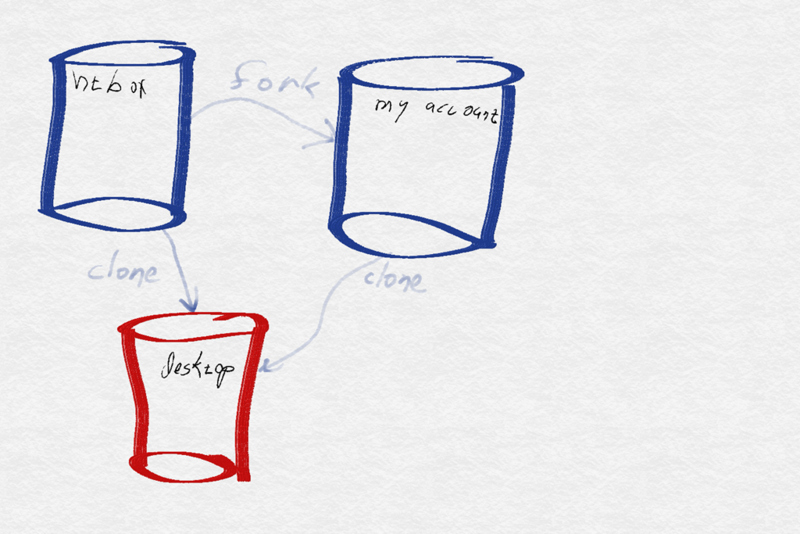 My session will discuss the reasons to minimize the use of async void methods. Come join me on Monday afternoon and get your async on. Finally, I'm going to be doing more work for Humanitarian Toolbox between other sessions. The main focus of Humanitarian Toolbox is to own the projects over time. We want them ready to deploy when disaster strikes. 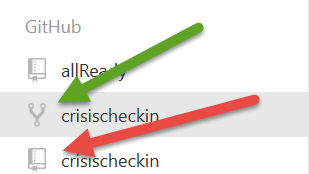 I'll be hanging out, adding more code to the crisis checkin tool. Please join me. I'll post on twitter where I'm coding. If you're coming to ThatConference, join us. I’m a bit late getting this up. It’s been one of those months. I’m attending and speaking at my first ThatConference this summer. My talk is on the dangers and misuses of void returning async methods in C# 5. I’ll discuss the problems with that practice, and go over some of the practices that can be used to avoid that practice. It’ a wicked strong lineup of speakers and content, and I do hope you can make time to attend my talk. I’m also going to be running a hackathon/GiveCamp for the Humanitarian Toolbox. Right now, we’re working with disaster relief experts to pick the right project. If you want your software to make a difference the next time there’s a natural disaster, like the tornados in Oklahoma this past week, come to ThatConference the 10th and 11th to participate. Write some code. Change the world. 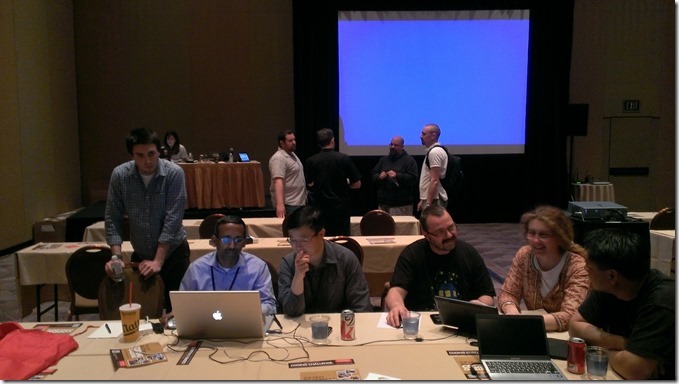 The Humanitarian Toolbox is hosting its next Hackathon at DevTeach in Toronto. DevTeach is a fantastic community-led conference that is celebrating its 10th anniversary this year. Many of my friends in the MVP and RD communities are speaking there. It’s a fantastic way to learn more about software development, and grow your skills. This year, you can give back as well. You can spend one evening (May 30th) using your skills to build software that makes relief workers more efficient when disaster strikes. 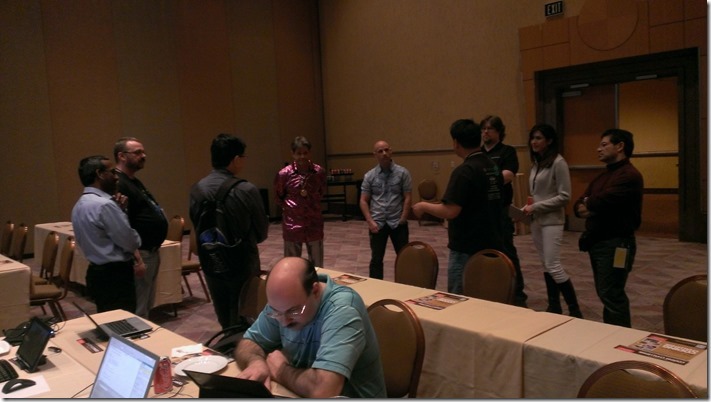 Attend the Humanitarian Toolbox hackathon at DevTeach. Help build the next generation of life-saving tools to meet the needs of relief workers. Your skills can save lives. We held our first hackathon at DevIntersections in April. (You can read about the experience on my previous blog entries). We’re hoping to build on that momentum during a number of conferences this summer. DevTeach is our first chance to grow more. Richard Campbell (yes, that Richard Campbell) will be hosting this hackathon. If you are going to DevTeach, please join us. scheduling note: Due to family events (happy ones), I can’t make this conference. I’ll be at other upcoming events later this summer and fall. We were starting from nothing, and this morning we have working software. The folks that came wanted to apply what they’ve learned at DevIntersections to this project (more below). We continued to get commits after we all left at 10:00 pm.